Last week’s GM meetings brought plenty of talk about expansion, with the league presenting an early plan for what an expansion draft might look like. If and when we do get a draft, it will be the first one the league has held since 2000, and the NHL’s new plan looks an awful lot like what we had back then. Let’s take a moment to remember what the NHL was like in 2000. There was no salary cap. Games could end in a tie, but not a shootout, and the standings had four columns. Gary Bettman only had one lockout under his belt. The Thrashers were in Atlanta, the Jets were on hiatus, and the Anaheim Ducks were still Mighty. The Los Angeles Kings, Boston Bruins and Chicago Blackhawks were all suffering through long Stanley Cup droughts, as was Ray Bourque. Sidney Crosby was weeks away from becoming a teenager, Connor McDavid hadn’t started kindergarten yet, and Jaromir Jagr was merely old. 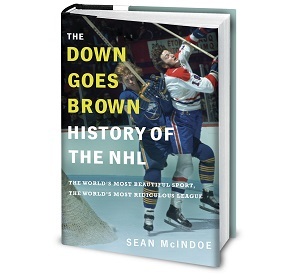 All of which is to say that the NHL of 2000 has little to do with the today’s league. So why should our next expansion draft be based on what was done back then? Many of today’s fans don’t even remember how teams like the Columbus Blue Jackets, Minnesota Wild or Nashville Predators came into existence, so there’s no reason to feel bound by tradition. No, it's time for the NHL to get creative. And we've got some idea to help them out. Here are three big new wrinkles the NHL should throw into their expansion draft plans. This will be the first expansion draft in the salary cap era, which will no doubt cause a major shift in strategy. The league is already looking at the possibility of forcing teams to expose a certain percentage of their salary cap, and there's been talk of changing the cap and floor requirements for the new teams in their inaugural seasons. But the reality is that it's not hard to see what's going to happen here: The established teams are going to be exposing a ton of players with terrible contracts. And they'll be praying that those players will get picked, clearing the bad deals off the books. That's fine. It will probably even spur some fun trades, with teams sending assets to expansion newcomers in exchange for a promise to take a terrible contract off their hands. But what if we went a step further? We already allow teams to retain salary in trades. Let's do the same for the expansion draft. Here's how it would work. As each team submits their protected list, they'd have the option of also offering to retain salary on any player made available. You list the player, then you list the salary you're offering him at – knowing that you'd be responsible making up for the difference, in both cap hit and real dollars. And to really make it fun, we're not even going to the limit retained salary to 50 per cent. Sky's the limit, gentlemen. You'd be adding a whole new element of strategy, for both the old and new teams. 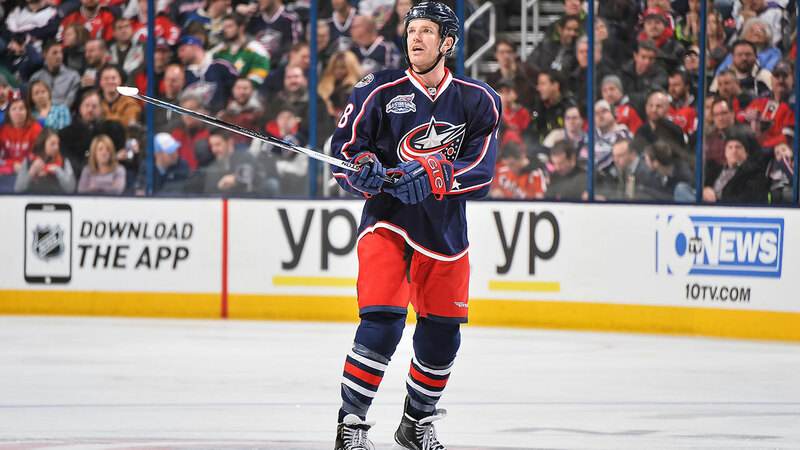 We know that nobody in their right mind is taking David Clarkson's $5.25 million albatross of a contract off of the Blue Jackets' hands, at least not without a first round pick or two attached to it. But what if he was on the list at $2 million? Wouldn't the Las Vegas Aces be awfully tempted to take a 32-year-old Dion Phaneuf at, say, $4.5 million, with the Senators paying the rest? Wouldn't they have to think about making Dustin Brown their first captain if the Kings were offering to eat half of his deal? This isn't all that much different than what we have now in terms of trades, but the wrinkle is that teams aren't hammering out the retained salary as part of a specific negotiation with another team. Instead, everyone would have to come up with their numbers in advance. So how far do you go? How much it too much? How big of a discount sticker are you willing to slap on your worst deals to try to tempt an expansion team to take the bait? There's only one way to find out. Many of these GMs signed those awful deals, so let's see how far they'll go to unload them.